A double duty card-haven't done this in a while! 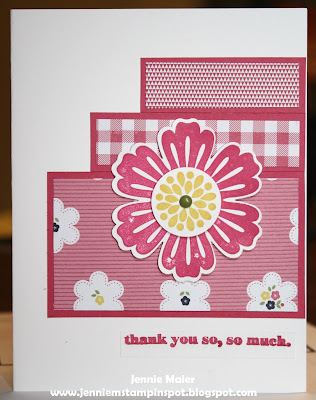 Got a chance to play today and needed some thank you cards so I made this for a sketch and color challenge. First, I used the Freshly Made Sketch #92 here. 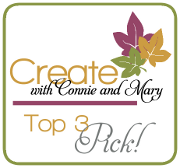 And second, the Create with Connie and Mary Color Challenge#258 here. 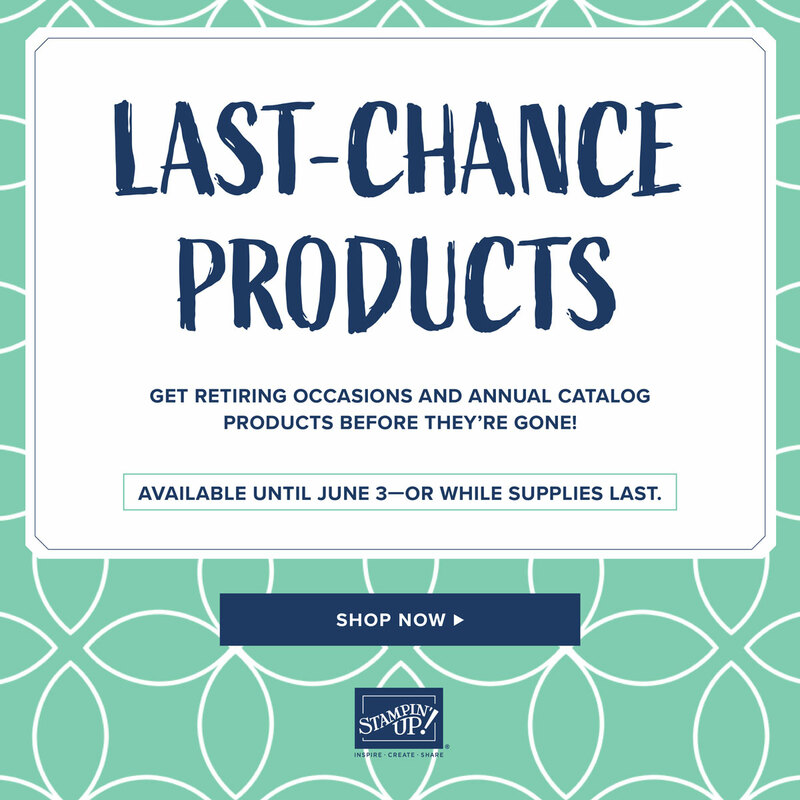 The colors to use are Melon Mambo, Daffodil Delight and Night of Navy. 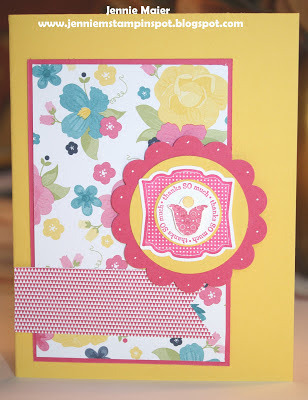 I used the Petite Pairs and Label Love stamp sets with some Gingham Garden DSP. 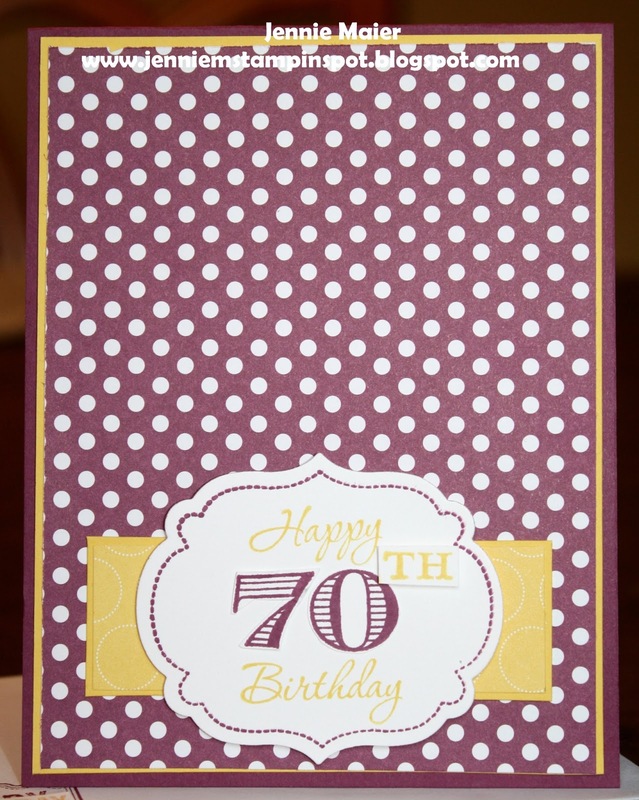 It's my mom's 70th birthday today so I made a card with her favorite color, purple. 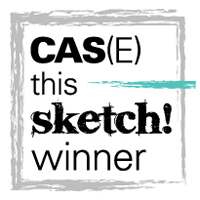 And I used the Splitcoast Sketch#442 here. 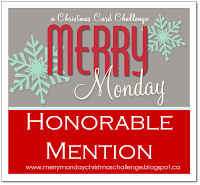 The stamp set is Memorable Moments and the papers are from Polka Dot Parade. This thank you came together really quickly thanks to the Splitcoast Sketch#441 here. 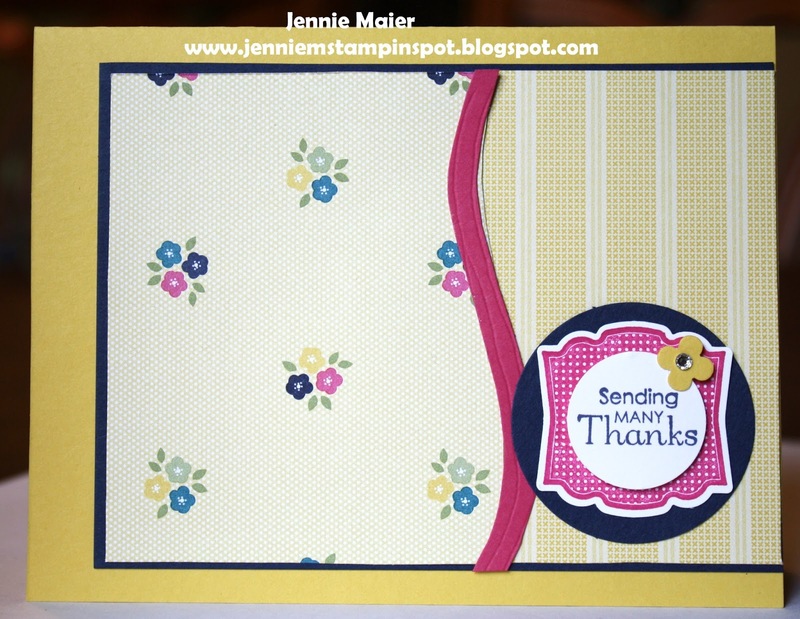 I used the Mixed Bunch and Delightful Dozen stamp sets with some Gingham Garden DSP. 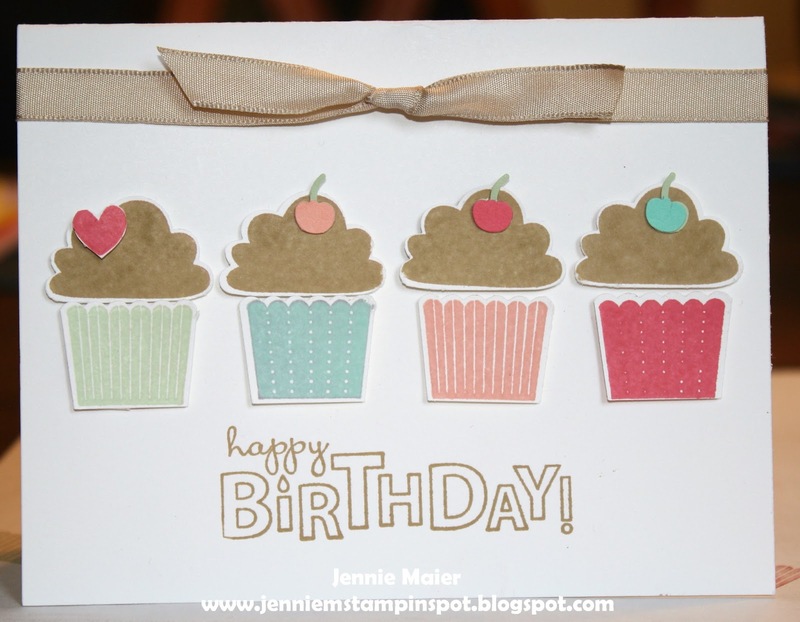 My first new In-Colors card thanks to the FabFri #20 here. The In-Colors are baked Brown Sugar, Coastal Cabana, Crisp Cantaloupe, Pistachio Pudding and Strawberry Slush. I used the Bring on the Cake and Create a Cupcake stamp sets. 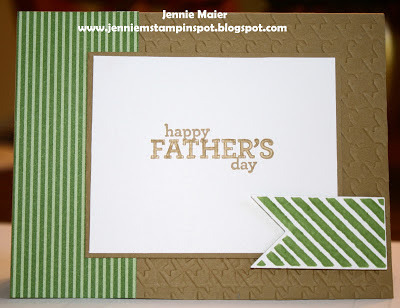 Father's Day card with a New In-Color! 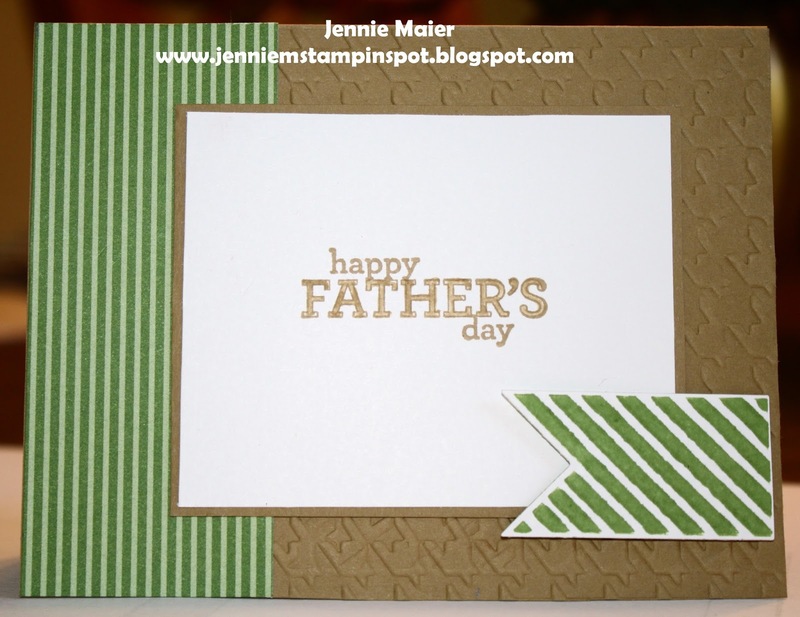 Here's a quick Father's Day card using the Freshly Made Sketch#90 here. 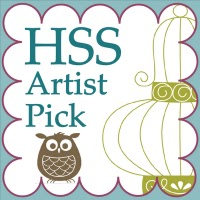 I used the yummy new In Color, Baked Brown Sugar with some retired Gumball Green DSP stack. 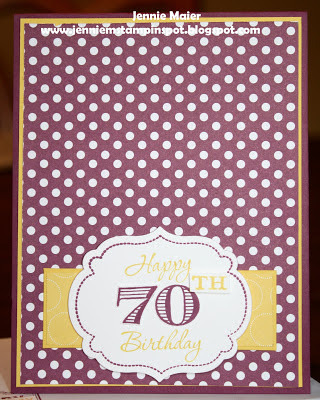 The Baked Brown Sugar was run thru the Big Shot with the Houndstooth embossing folder. 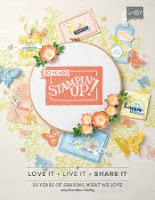 And the stamp sets are Delightful Dozen and Hearts a Flutter. 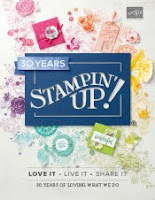 The new catalog is out and there are some great stamps, papers, colors, punches, etc! I have not been able to play lately because I've been working and then had an 8th grade and a high school graduation. 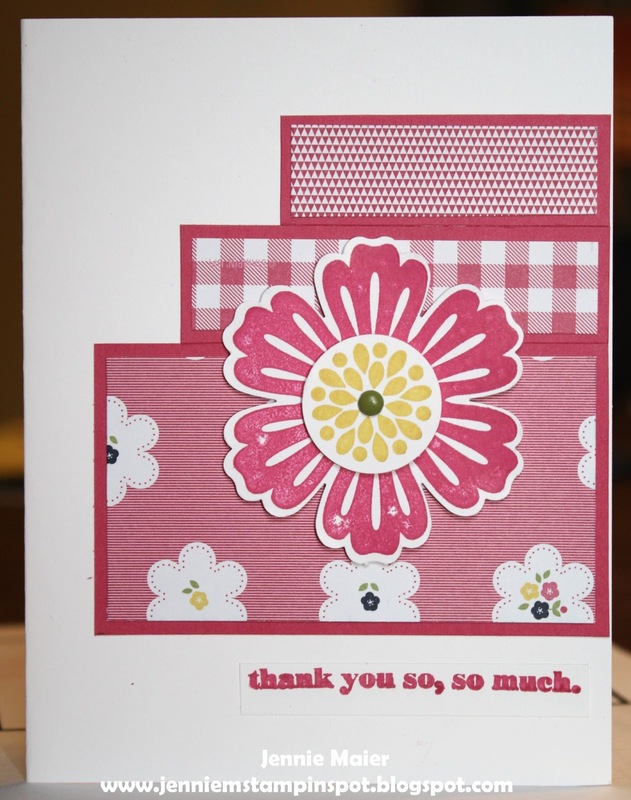 Big party this weekend but I had to make a thank you for a new catty order. I used the Label Love and coordinating Artisan Label punch along with A Fitting Occasion stamp set and some Gingham Garden DSP. 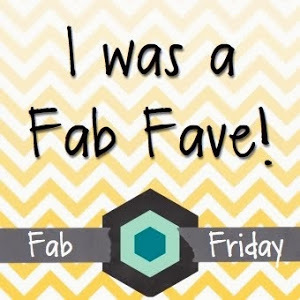 I also used the Fab Friday Sketch#19 here.